Ceiling fans aren't just for hot summer days. They can also be used in the winter to circulate warm air from the ceiling. But if you've noticed that your fan works better on cold days than on hot ones, you may just have it on the wrong setting, as the Spark Energy blog suggests. According to Energy Star, ceiling fans should be set to spin counterclockwise in the summer, creating a cool downward breeze. If you don't feel that air movement while standing beneath your ceiling fan, it's probably spinning the wrong way. The clockwise setting on a fan helps your room feel warmer rather than cooling it down. A low-speed clockwise spin can create an updraft in the room that forces warm air down from the ceiling, making you feel a little more toasty below. Some newer fans also let you switch the spin direction by remote control, but if that's not the case for your fan, it's still a relatively easy fix. 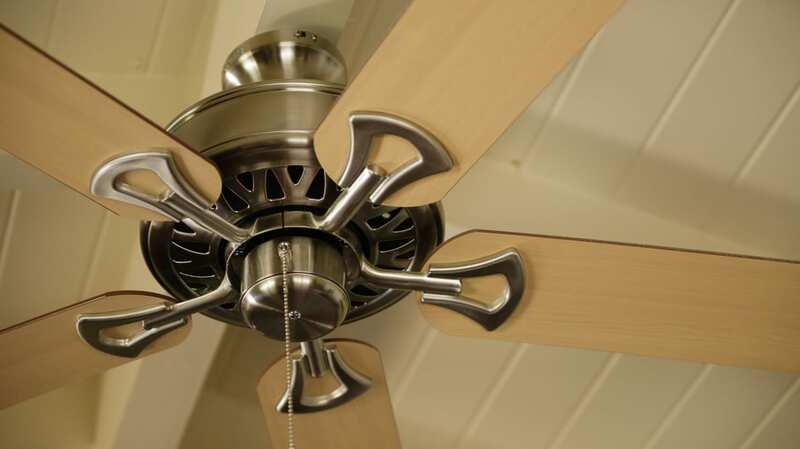 For most fans, you can change the direction of the spin using a switch on the fan's motor. Make sure that the fan is completely shut off and has stopped spinning, then grab a chair or ladder and find the switch, which is often located near the pull cord. In either season, turning on your ceiling fan can help you save energy by limiting the amount of heating and air conditioning you use, without having to sacrifice your comfort. Running a ceiling fan allows you to raise the setting of your air conditioner approximately 4°F without noticing a difference in comfort, according to the U.S. Department of Energy. If you're hoping to chill out this summer without turning on the A/C, check out some of our other tips for staying cool here.